Can The Bruins Repeat The Scoring Output of Last Season? 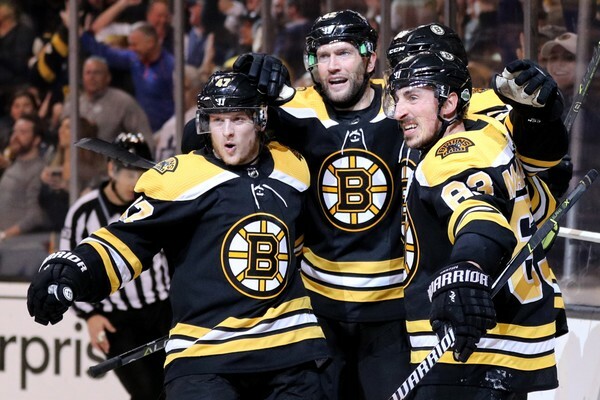 Last season, the Bruins surpassed all expectations by finishing with 112 points. They were led by their youth, which will again be a huge factor next season. Netting 112 points is no easy task and this team will have to come together again to repeat that success. The 2018-2019 season will see the debut off more highly regarded Bruins prospects. 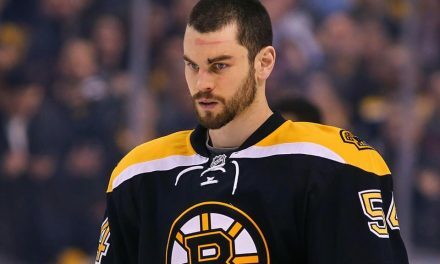 They will have a solid group of veterans to learn from, including Patrice Bergeron, Zdeno Chara, and Torey Krug. 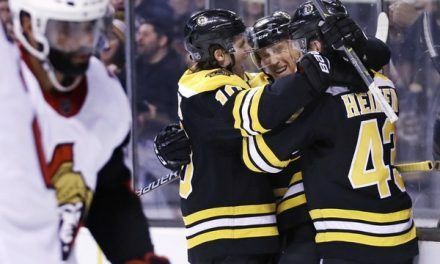 The Bruins will be battling with Tampa Bay, an improved Toronto team, and the Florida Panthers who could push for a wild card spot. Repeating last year’s success is not impossible, considering the strength of the Bruins core and how players such as Jake DeBrusk and Danton Heinen flourished last season. One reason for the Bruins success last season was their 2011 Stanley Cup core. They showed that they still have at least one more run left in them. Patrice Bergeron continued to be one of the best centers in the league. Zdeno Chara was still the Bruins best defenseman due to the fact the Bruins limited his minutes. The 2017-2018 team also saw the continued improvement of Torey Krug. He had a career high 59 points and improved tremendously on defensive. These veterans were complemented by rookies who have become fan favorites after one season. The Bruins new core was formed in shadows of the last championship core. Last season, DeBrusk and Charlie McAvoy showed why scouts held them in such high regard as prospects. Despite missing 19 regular season games, McAvoy established himself as the most important player on the Bruins’ defense. 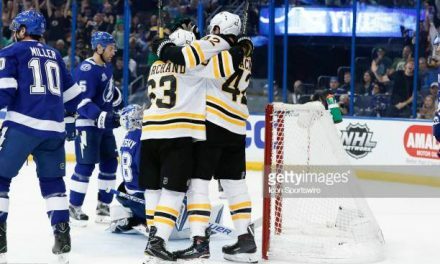 DeBrusk showed a flare for the dramatic and made the Bruins second line dangerous. Next year, they will only be better, which is bad news for the rest of the league. Heinen also played in his first full NHL season and showed that he could contribute on the second or third line. After years of anticipation, these players lived up to the hype with only more to come. Next season, Bruins prospects such as Jakob Forsbacka Karlsoon, Zach Senyshn, and Jakub Zaburil will be looking to make a similar impact. Last year, the Bruins rookies gave the team a jolt of energy that had been missing in recent years. They played with a edge and had a knack for making comebacks when it seemed unlikely. The Bruins will carry that mentality into this upcoming season. There will be growing pains along the way with these young players. But as DeBrusk and McAvoy showed, those growing pains often lead to better results. That is what made the Bruins so good last year. Repeating last year’s numbers is a lot of pressure to place on any team. This offseason, the Bruins have not made any significant upgrades. Their biggest move was inking defenseman John Moore to a five-year deal. They still have the best line in hockey in Bergeron, Brad Marchand, and David Pastrnak. 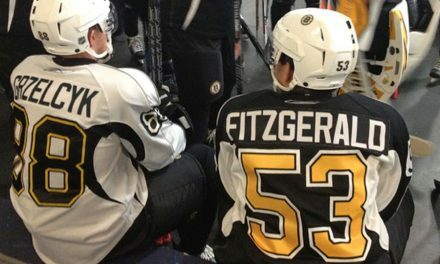 The Bruins young core will only get better with experience. Tampa Bay and Toronto improved in the offseason and will battle the Bruins all season. The Bruins are returning the majority of last years roster, which knew a thing or two about proving people wrong. Their postseason run came to an abrupt end last season and they will be looking for revenge. Next year, they will again be looking to surpass whatever expectations are placed on them.